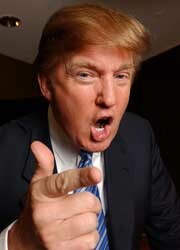 Bondholders Considering Plan to Tell Servicers: "You’re Fired!" With lawsuits against servicers grinding a slow path through the court system, investors are looking to make an end-run around the intransigent banks who are refusing to service mortgages in accordance with bondholder wishes. Their solution to break through the gridlock surrounding so-called “toxic” mortgage-backed securities? Use the mechanisms in their pooling and servicing agreements (PSAs)–the agreements that govern the creation, maintenance and payment streams of mortgage-backed securities–to remove conflicted servicers from their roles and insert friendly institutions willing to service the loans consistent with the best interests of the investors. According to one group of prominent investors (hereinafter the “Securitization Syndicate”), who asked to remain anonymous because the plan is still in the works, investors with large holdings in mortgage-backed securities (MBS) are beginning to join forces to petition securitization Trustees to relieve Master Servicers from their posts. Under the terms of most PSAs (which tend to vary little from trust to trust), the Master Servicer is required to service loans in such a way as to maximize investor returns. However, due to recognized conflicts of interest (such as significant holdings in junior mortgages and an interest in accumulating fees from delinquent loans), servicers instead have frequently breached these obligations and refused to liquidate or modify loans that borrowers are incapable of repaying. The problem is that, under the terms of most PSAs, the only party with the power to do anything about a breach of an obligation by a Master Servicer is the Trustee. Trustees are generally large financial institutions that are paid a fee to oversee the flow of money through the securitization waterfall and to carry out certain administrative tasks. Though the Trustee may remove a Master Servicer, because the Trustee was designed to play a fairly passive role, it is not required to enforce servicer breaches on its own initiative. Instead, bondholders must petition the Trustee to take action. In this regard, most PSAs require that at least 25% of the Voting Rights (evidenced by beneficial ownership of 25% of the bonds) give notice to the Trustee of a breach by the Master Servicer before triggering any obligations by the Trustee. Only when the Trustee fails to remedy the breach within 60 days after such a petition may the bondholders bring legal action on behalf of the Trust. However, most PSAs also provide the following: “The Holders of Certificates entitled to at least 51% of the Voting Rights may at any time remove the Trustee and appoint a successor trustee.” (quoted from the representative PSA for Countrywide Alternative Loan Trust 2005-35CB) Anticipating that the Trustee will not take action against the Master Servicer, and reluctant to engage in yet another protracted legal battle to enforce servicers’ obligations, the Securitization Syndicate is shooting for a more ambitious goal: amass a 51% interest in one securitization so that they may remove the Trustee, appoint a friendly successor, and get that successor to fire the Master Servicer. Sound difficult? It will be. Most prudent investors seek to diversify their holdings so that they do not hold too high a percentage in any one securitization, let alone any one asset class. Finding a few investors with large enough holdings in one particular securitization to obtain 51% might be a challenge. However, it turns out that several large institutional investors, drawn by mortgage-backed securities promising double-digit returns from an investment-grade rated product, acquired substantial holdings in single MBS trusts. Thus, it may be the case that by encouraging just two or three of these large funds to join forces, the Securitization Syndicate may be able to hit the 51% hurdle. I would tend to agree that a single firing would cause a sea change in loan servicing policies. Many large banks earn significant fees from serving as the Trustee or Master Servicer of securitizations, and would not want to lose those revenues. Yet, surprisingly, the biggest challenge to this plan may be prodding institutional investors–those who stand to benefit the most from replacing the Trustee and Servicer–to take action. Up until now, institutional investors have been reluctant to take on the Big Four Banks, with which they have longstanding relationships, or to risk being portrayed as self-interestedly opposed to politically popular loan modifications. Nevertheless, as losses mount in the MBS portfolios of these pension funds, insurance funds and the like, and especially now that senior tranches of securities in certain MBS trusts are beginning to take a hit, somebody is going to be willing to go out on a limb. Large funds such as CalPERS, whose investment portfolio took a hit of over $56 billion in the last fiscal year, should be eager to find a way to cut their losses and begin liquidating their large holdings in mortgage-backed securities. With Treasury officials admitting last month to the failure of their efforts to cajole servicers into modifying loans or working with borrowers to allow short-sales (the sale of the property for an amount less than the amount owed on the mortgage), maybe institutional investors will finally take matters into their own hands. And, just one reported instance of this plan being successful will likely create a chain reaction. Soon, many bondholders will be open to joining forces and taking on Servicers and Trustees who aren’t honoring their contractual obligations. In the meantime, loan modifications or workouts, which require the cooperation of servicers, will grind forward at a snail’s pace. This is because servicers have the sole power within a trust to modify a loan, foreclose, or allow a short sale, and they have generally been responsible for dragging their feet and keeping these loans in stasis. When servicers refuse to service loans in the best interests of the ultimate owners, which they’re contractually-obligated to do, they should be shown the door just like anyone else that fails to perform their basic job functions. The question is whether any institutional investors will have the courage to break ranks and stand up to banks that have demonstrated unparalleled influence in Washington and on Wall Street. This entry was posted in banks, CalPERS, fiduciary duties, Investor Syndicate, investors, loan modifications, pooling agreements, securities, securitization, servicers, short-selling, toxic assets, Treasury, Trustees. Bookmark the permalink. >Theoretically, if it is found that Servicers did not service properly, the Trust (i.e., investors) would be entitled to damages based on the excess expense incurred as a result of this conduct. The original Servicer would likely still be able to recoup any advances it made to the Trust, subject to a reduction for excessive advances based on improperly accounting for costs or dragging out the foreclosure process. If a new Servicer was brought in, that Servicer would then be responsible for advancing payments to the Trust, but again would be entitled to recoup those advances off the top of the proceeds of any foreclosure.